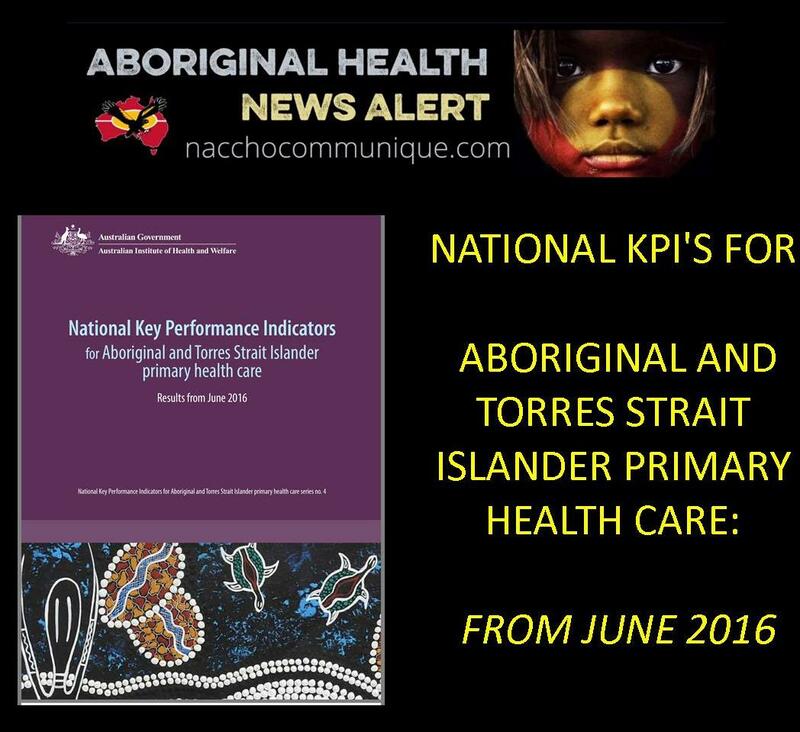 ” This fourth national report on the Indigenous primary health care national Key Performance Indicators (nKPIs) data collection presents annual data on indicators collected from the June 2012 to the June 2016 reporting period. Information is presented for 22 ‘process-of-care’ and ‘health outcome’ indicators for June 2016, which focus on maternal and child health, preventative health, and chronic disease management. The report shows continuous improvements for the majority of indicators. Yes the good news is , improvements were seen in 12 of the 16 process-of-care measures for which time trend data were available (Table S1 below ). 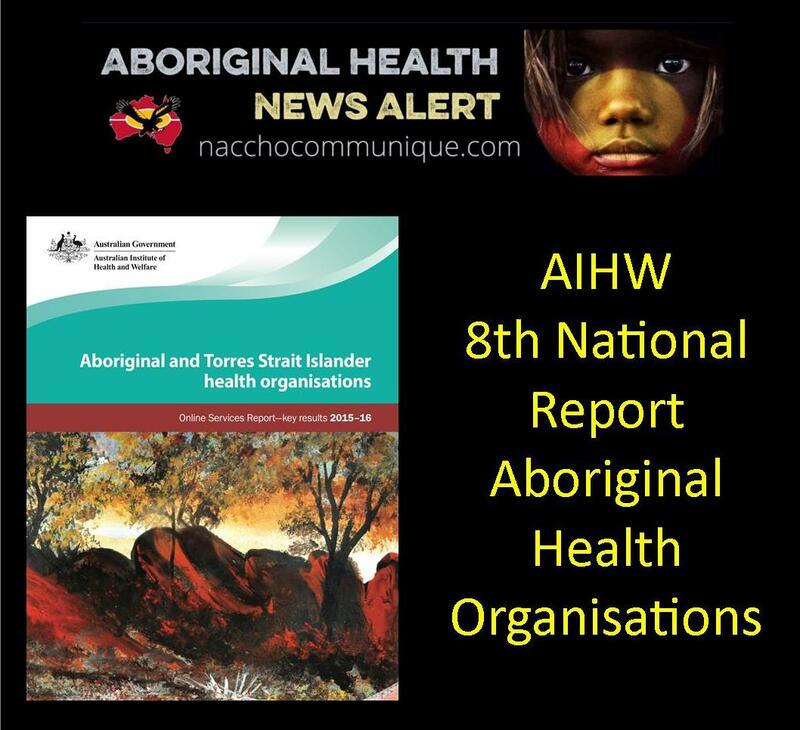 Data for this collection are provided to the AIHW by primary health care organisations that receive funding from the Department of Health to provide services to Aboriginal and Torres Strait Islander people. Some primary health care organisations that report receive additional funding from other sources, including state and territory health departments, while a small number are funded solely by the Northern Territory Government (see ‘Chapter 1 Introduction’). 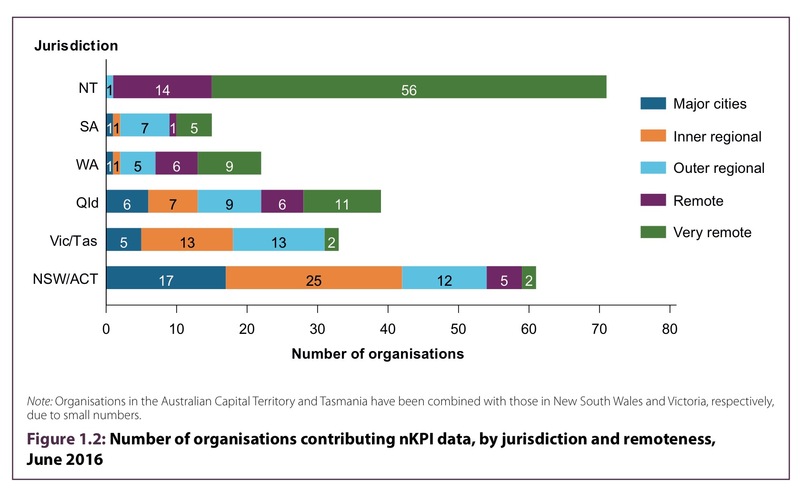 The purpose of the nKPIs is to support policy and service planning at the national and state/territory levels, by monitoring progress and highlighting areas for improvement. The nKPIs can also be used to improve the delivery of primary health care services, by supporting continuous quality improvement (CQI) activity among service providers. 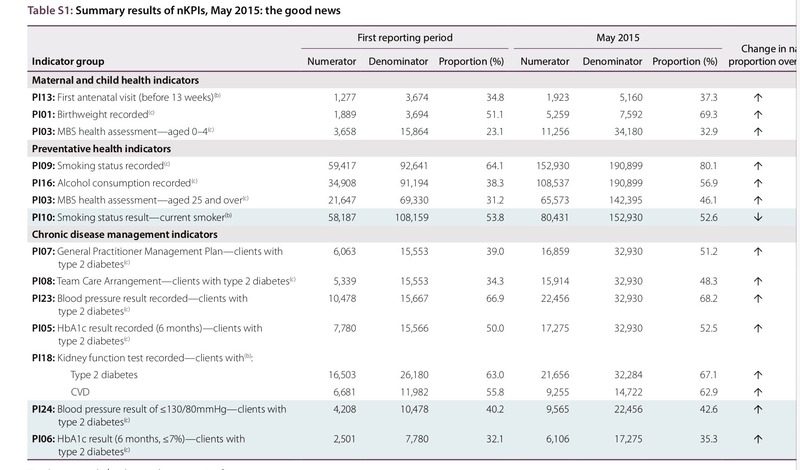 Over the period June 2012 to May 2015 (the period for which time trend data are available), improvements continue to be made across the majority of measures—indicating that health organisations continue to show progress in service provision. Improvements were seen in 12 of the 16 process-of-care measures for which time trend data were available (Table S1). smoking status, which rose from 64% in June 2012 to 80% in May 2015. Results for process-of-care measures related to Medicare Benefits Schedule (MBS) health assessments (for children and adults) exceeded the 2016 trajectory of the Implementation Plan goals for the National Aboriginal and Torres Strait Islander Health Plan 2013–2023. Results for 3 process-of-care measures related to immunisation against influenza—clients aged 50 and over; clients with type 2 diabetes; and clients with chronic obstructive pulmonary disease (COPD)—and for the 1 process-of-care measure relating to cervical screening saw small decreases of between 1.3 and 2.6 percentage points. However, these were not statistically significant. 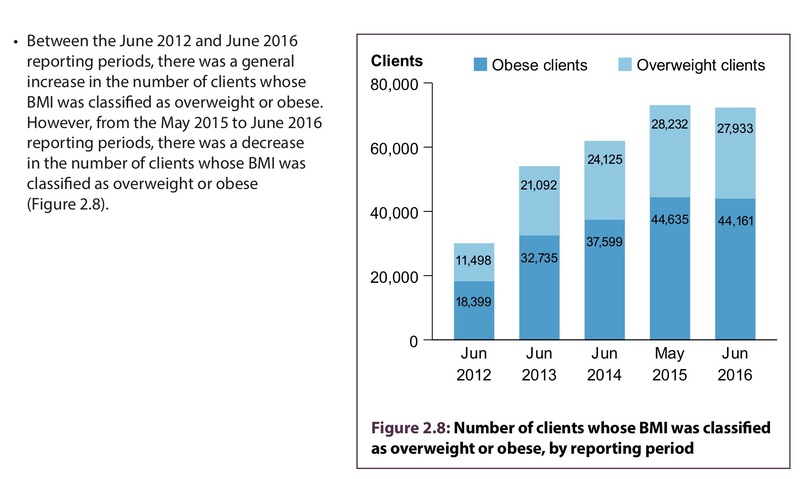 Results for 2 health outcome measures showed increases: the proportion of babies born with a low birthweight increased by 0.9 percentage points and people whose body mass index (BMI) score classified them as overweight or obese increased by 4.3 percentage points. However, these increases were not statistically significant. These results also remain in line with national data for Indigenous Australians.